Musicians from classic bands take all sorts of unexpected paths in their late careers. We’ve seen Grateful Dead drummer Mickey Hart collaborate with NASA, Talking Heads frontman David Byrne take on—among a dozen other roles—the mantle of librarian, and Bruce Springsteen guitarist Steven Van Zandt become a curriculum developer. Turning musical experience to consciousness-expanding avocation has produced very admirable results—perhaps no more so than in the case of two musicians who have used the latest research on music therapy to help kids with autism. We’ve previously featured Cheap Trick bassist Tom Petersson’s “Rock Your Speech” project, inspired by his autistic son Liam’s positive response to music. 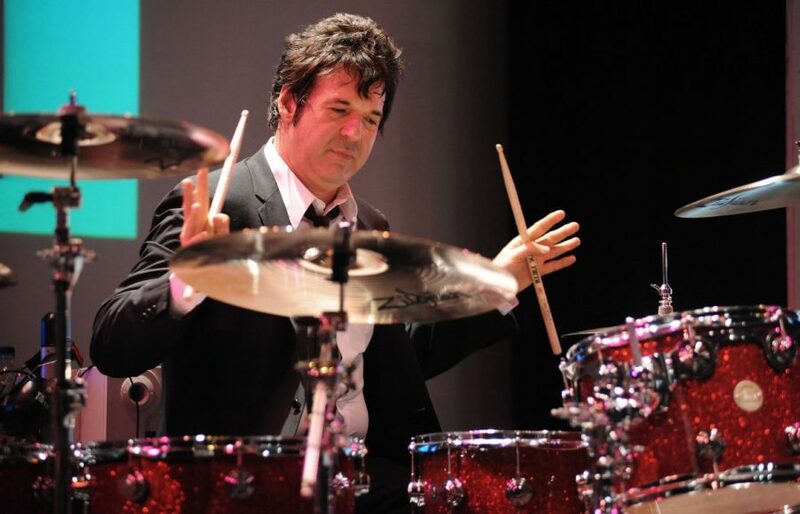 Now reports from the University of Chichester describes how drummer Clem Burke of Blondie fame has invested his celebrity into research on how drumming can help kids on the spectrum improve learning and enhance social interactions. It must be noted that Burke has not come lately to the science. His Clem Burke Drumming Project (CBDP), an association of academics, drummers, university partners, and honorary “Doctor of Rock” Burke, just celebrated its 10-year anniversary. These significant benefits do not apply only to students with autism; “Rock drumming,” says lead researcher and CBDP co-founder Marcus Smith, can be “a potent intervention for individuals experiencing brain disorders” of all kinds, and can also improve dexterity, rhythm, and timing (naturally). Maybe Dr. Clem Burke and his team should start a side project with Tom Petersson, whose musical interventions in the lives of kids with autism seem to be finding exactly such wider benefits.